This base was modeled around a cute little resin rat from Pardulon. 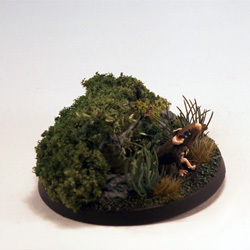 Sadly the mini has since been removed from the shop as the master model and the mold have been lost. 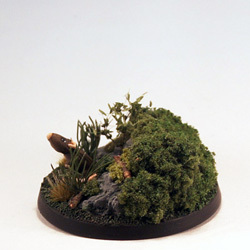 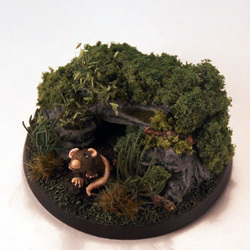 The den was build with modelling putty and covered with GF9 moss. The little rat was sculped by Jens Beckmann.